Doug is the Chief Financial Officer of Touchstone Ranch Recovery Center. He earned his Bachelor of Science in Business Administration from Kansas State University. Doug brings to Touchstone over 30 years of international and domestic experience with several Fortune 100 companies. 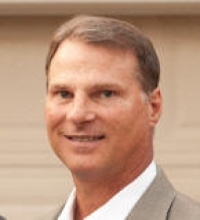 Doug’s background includes business development, operational effectiveness and utilization of technology. Doug has been actively involved in the addiction and mental health industries for over 10 years. He is currently certified as an Anger Management Resolution Therapist with The Center for Anger Resolution and has experience with the leading behavior intervention models.